The comparative figures have been restated in the financial year 31/3/15 and 31/3/16. Prior year adjustment was made to accounts for depreciation of certain building not provided in prior years. * Included in the loss are impairment losses of goodwill amounting to RM12.321 million. 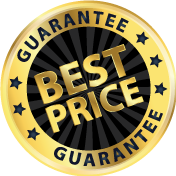 Avillion's Best Rate Guarantee (“BRG”) says that if you find a lower rate within 24 hours of booking your reservation, Avillion will match that rate. Kindly upload the proof of lower rate onto Google Drive. Begin by activating Google Drive. If you already have Google Drive, upload the image as proof and provide us the link.